SYMP328 Memorial Flower Arrangement Large [SYMP328] - $285.00 : Hanamo Florist Online Store, Vancouver, BC, Canada, Quality arrangements using a plethora of the freshest flowers. Available from 225+ tax (usually no orchid) or more. For Funeral and Memorial Services, may not be suitable for homes. Approx. height is 38 inch tall. Some flowers may be different from the sample picture due to the seasonal and the market availability especially fresh cut Phalaenopsis Orchids. You may choose the prefered flower colours or leave it up to us. The white container has a base and plastic. 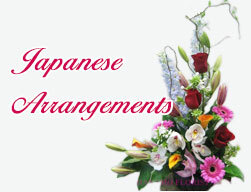 Please note we do not use roses for the Japanese Buddhist Services, otherwise may or may not use.